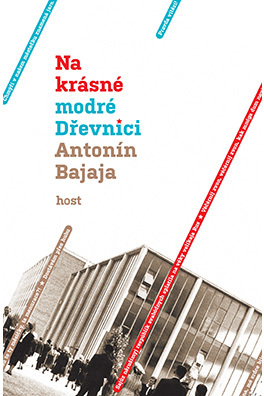 Antonín Bajaja might have called his new novel The End of the Good Old Days in Zlín or A Moravian Amarcord. 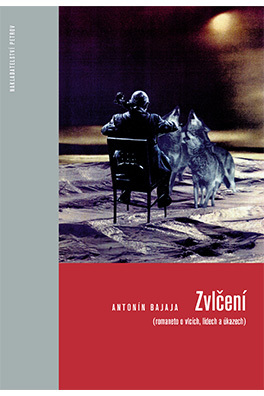 This work by Antonín Bajaja is a memoir of a childhood that began with so much promise shortly after the war, when the people of Zlín welcomed their liberators with bread and salt, there was merrymaking and the execution of a “Nazi” on the football field, and the “bourgeoisie“ believed the republic of Masaryk and the prosperity of Baťa would return. But for the Iron Curtain, Zlín’s becoming Gottwaldov and comrades liquidating the class enemy, this childhood would have been a happy one. Members of the author’s family – his father had a private medical practice, his grandparents a hotel – lost their property, social status and freedom, as did those of their friends who were known as “reactionaries”. The leitmotiv of Bajaja’s book is the gradual disintegration of all that went before and the extinguishing of hope for its return. The childhood was in fact a happy one – after a fashion. The world of the children floated high above the ramparts of its adult equivalent. While the lives of parents and grandparents were disintegrating, the children enjoyed tales of singing communist heavens and had Pioneers’ adventures – until their lives fell foul of history on a grand scale and the tangle of “truthful lies” began to bring forth angst and nightmares. The work is devised as a series of letters to the author’s sister Jana (Jeanne), with whom he lived through that happy childhood full of promise. Some of the writings in Burying the Season are tragicomical, reminiscent of paper boats. The first of them was written in the 1960s, and they were not intended for publication. 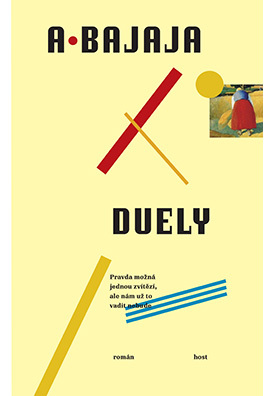 Burying the Season is an affectionate, multi-layered account of small town life in central Europe beginning in the early 1930s and ending in the 21st Century. Adapting scenes from Fellini’s Amarcord, Bajaja’s meandering narrative weaves humour, tragedy and historical events into a series of compelling nostalgic anecdotes. The ex-King of Bulgaria, a future president with the unfortunate name Goose, strange visitors and eccentric locals are just a few of the peculiar, but very human, characters drawn by the author experiencing the wonder and disillusionment of their everyday lives. Zlín, Bajaja’s hometown, with its Bauhaus inspired architecture, built by its major employer Baťa Shoes, feature prominently. Friends and family walk, skate, swim, quarrel, love and fall into the local river Dřevnice; disappearing and re-appearing, surviving changing times while their children play Swallows and Amazons. As an essay in remembering, it offers hope.